This stunning burnt umber marble disc, the most sophisticated of accessories. It’s elegant proportions ensure it will sit beautifully on any number of surfaces. Brings a magical touch of the orient to your interior! It is beautiful stand alone objet like this that play such an important role in bringing life and character to your interior. Whether mixed in with books, photography and other artwork on a carefully curated shelving or in a simple trio of roundels sitting together, this really is a versatile piece. For more inspiration on shelving see our feature here. 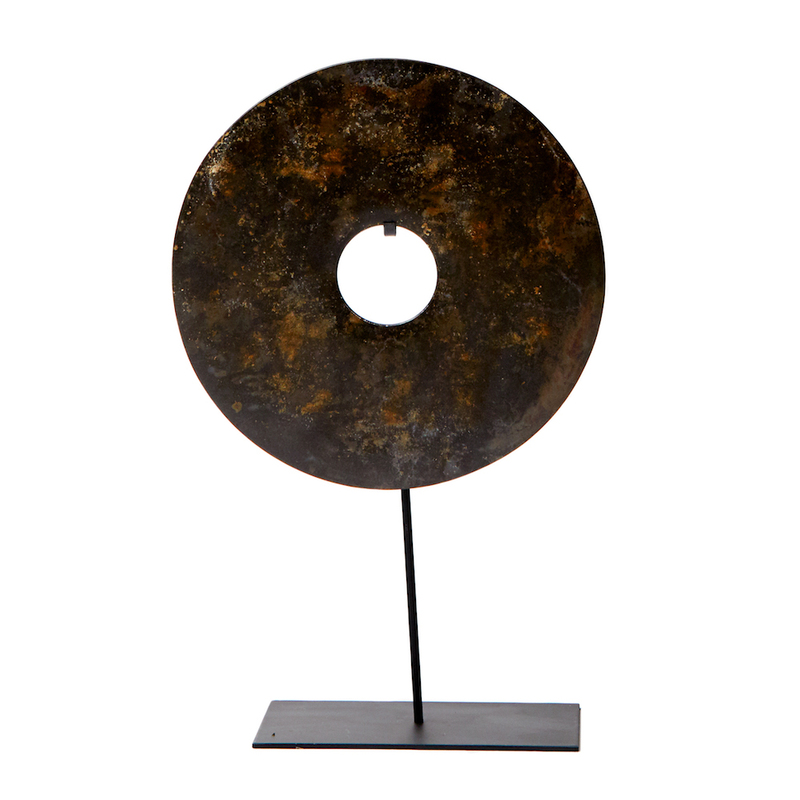 The marble roundel sits on an elegant black metal stand.